The board's director of communications confirmed to CBC News that 176 elementary and 193 secondary teachers were informed about the change Tuesday*—*amid an attempt by Education Minister*Lisa Thompson*to downplay the cuts as "an annual exercise." The cuts are the result of "changes to class sizes, cuts in local priorities funding and other reductions in funding," Carla Pereira*said. "This is not routine," Mike Bettiol*of the*Ontario Secondary School Teachers' Federation's District 19 said in a statement. "In fact, secondary has not had any surplus teachers since 2013 ... and then it was 40 teachers. The layoffs are all due to budget cuts and entirely the government's fault." "Students will experience more crowding and less choice," he said. Asked about the cuts in the Legislature Tuesday, Thompson accused the opposition, Andrea Horwath's NDP, of playing politics and "perpetuating fear." 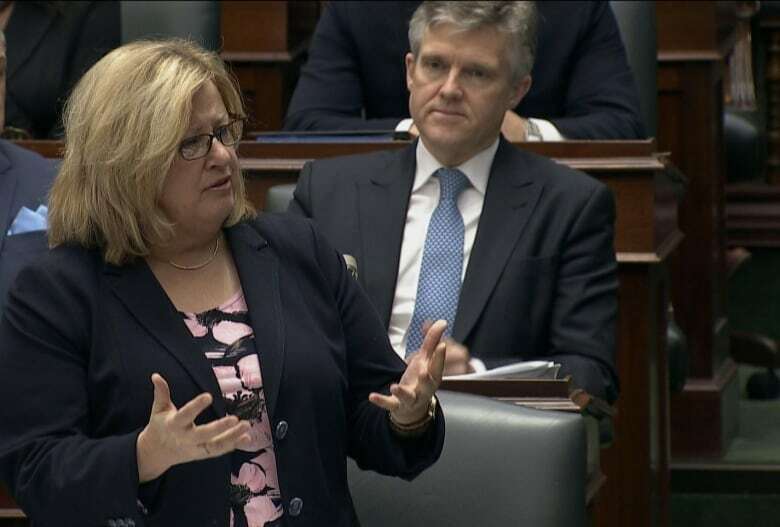 "The Ford government's cuts in our classrooms continue to erode the quality of our children's education," Horwath said at Queen's Park. Fears of job losses and larger class sizes have dogged Doug Ford's Progressive Conservative government since March, when the province unveiled its education plan. Thompson has said no teacher in Ontario will "involuntarily" lose their job. Also on Tuesday, Ford made no secret of his position on teachers' unions, saying they'd "declared war on" the PCs even before they formed government. Ford also warned the teachers' unions not to try to strike. Thompson, meanwhile, took a more reserved approach, saying while she respects the premier, she also respects the "consultation process and the importance of making sure we have good faith conversations with our labour partners and our education partners."